Facebook is once again experiencing worldwide service issues. Frustrated Facebook users are saying they’re seeing nothing but a blank screen in some cases, while others reported their feed is stuck on old posts and won’t refresh. Reports started piling in at 9:28 a.m. across several outage-tracking websites, including DownDetector. By 9:45, there were already hundreds of reported issues and the numbers continue to rise. 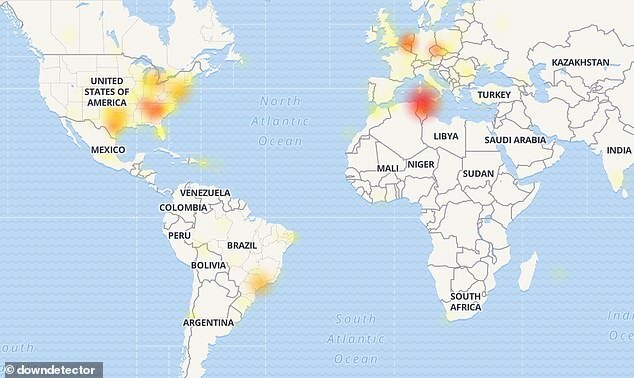 Facebook outage hotspots have been popping up all over the world, with the worst hit areas including the east and southeast US, Belgium and the Netherlands, Czech Republic, major cities in Brazil and Chile, and the northern tip of Africa. Sporadic reports have also been coming in from other areas around the globe. Most users who reported problems (49 percent) say they’re experiencing a ‘total blackout,’ while a third said they are having trouble logging in. A smaller portion of Facebook users (15 percent) are reporting issues viewing and sharing photos.